At the official Microsoft Store. 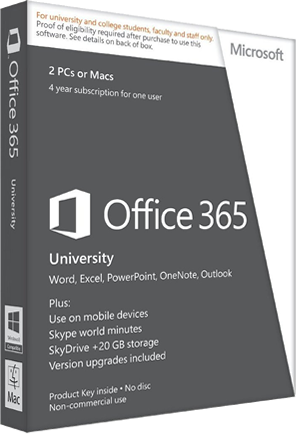 Pick up Office 365 University at the official Microsoft Store on sale for just $79.99. Select between the English and Spanish version. Your order includes a 4-year subscription to every new Office app (with free upgrades to the latest version through the life of your membership), OneDrive storage and Skype calling on 2 PCs or Macs and all of your mobile phones and tablets. Student verification is required to purchase the discounted University edition. See store for offer details. In store or online at Walmart. You can pick up a copy of Office 365 University at your local Walmart or Walmart.com. If ordering online, you’ll save the most (the discount will be shown in your cart) and you’ll have the option of getting free shipping to your home or nearest store. They also have a price match guarantee so if you see Office 365 University sold for less elsewhere at an authorized Microsoft store, then you will be able to request a price match for the difference. Just remember that not all stores carry Office 365 University so use the online product locator to see if it’s carried at your closest location. Sale priced through April 15, 2019. Find Office 365 on sale at Amazon. You can save up to 10% on Office 365 University on sale at Amazon. 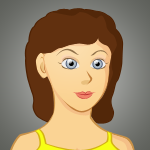 You’ll notice that they carry two different forms of Office – A PC keycard and a downloadable version for Mac/PC. For some reason, we’ve noticed that the prices can vary between the two so be aware of the discount that’s offered. If you have a PC, then either option will work (if you choose the keycard you will receive free shipping). One the other hand, if you have a Mac then your only option is to purchase the download. We personally prefer the download version as not only do you receive your order immediately after checkout, but your license key if forever saved safely in your Amazon account if you ever need to reinstall the software. Sale prices will vary among the versions available in-store. Pick up your license at Best Buy. Best Buy is also a good place to pick up a copy of Office 365 University. Not only do you get up to 6% back in Rewards credit but you’re also covered by their price match policy. It’s good not only at the time of purchase (if you find that one of their competitors has a lower price) but also up to 2 weeks after the purchase date. Like with all of their products, you can order online and have it shipped to your home for free. Download & Try it for Free. If you haven’t tried Office 365 yet then you can download the free trial version directly from Microsoft.com. Just note the Home Premium version is the only version of Office 365 that has a free trial available (it’s almost identical to the University edition but does not require academic verification). You’ll be given a full 30 days to try it out and install it on up to 5 PC’s. Because Office 365 University is only sold to students, you or member of your household will need to provide quailed student verification information before you are able to receive your serial number/key required for installation. To start the process, go to getmicrosoftkey.com and follow the steps outlined. The entire process should take no more than 10 minutes if you have your student information handy.